Tickets are selling fast for Wicked Productions’ latest show, Alice in Wonderland. 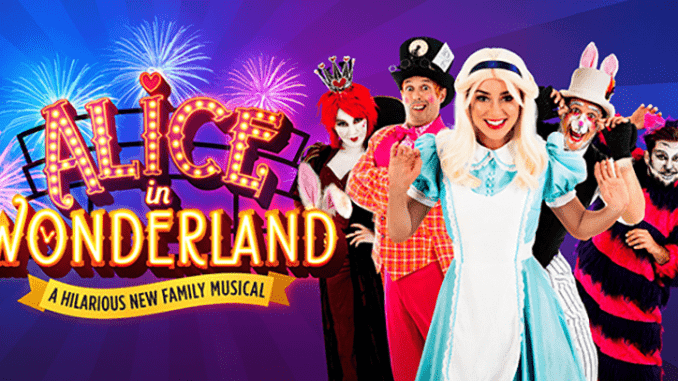 Join Alice as she takes a tumble down the rabbit hole into the wonderful world of Wonderland! Featuring the Cheshire cat, a mad hatter’s tea party, the white rabbit and his timekeeping and Alice staying one step ahead of the treacherous Queen of Hearts! The hilarious Tom Swift returns to play White Rabbit, alongside Ant Payne as Mad Hatter and Margate’s very own Georgia Rowland-Elliott as Alice. Alice in Wonderland promises a slick mix of hilarious jokes, original music, innovative sets and beautifully creative costumes. Wicked productions, in partnership with Jordan Productions, bring the show to the stage at Margate’s Theatre Royal on April 6-7.